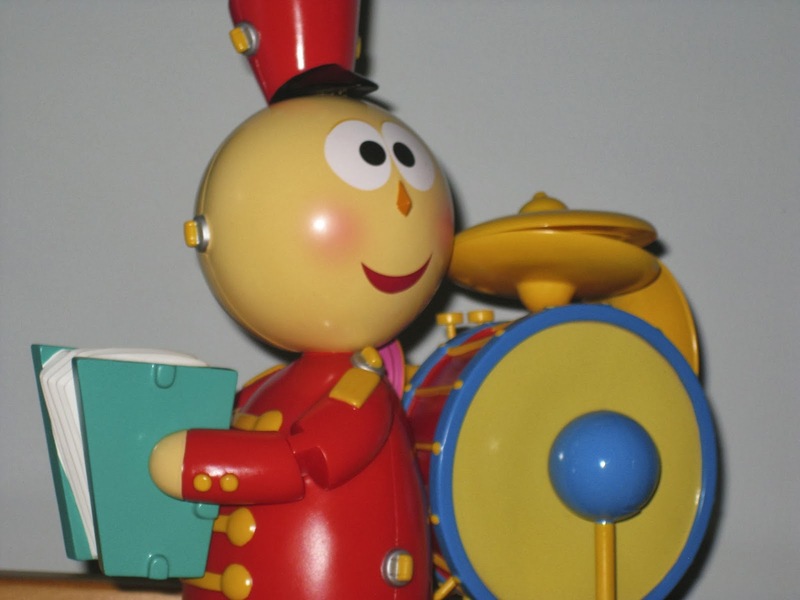 Tin Toy was one of Pixar's very first short films which debuted back in 1988, written and directed by John Lasseter (screen shot above). It won the Academy Award for best animated short film (which was the first computer animated film to do so). Tin Toy is a very special short film for not only the technical achievements but because it was a major inspiration for Toy Story, Pixar first full length feature which was released seven years later in 1995. 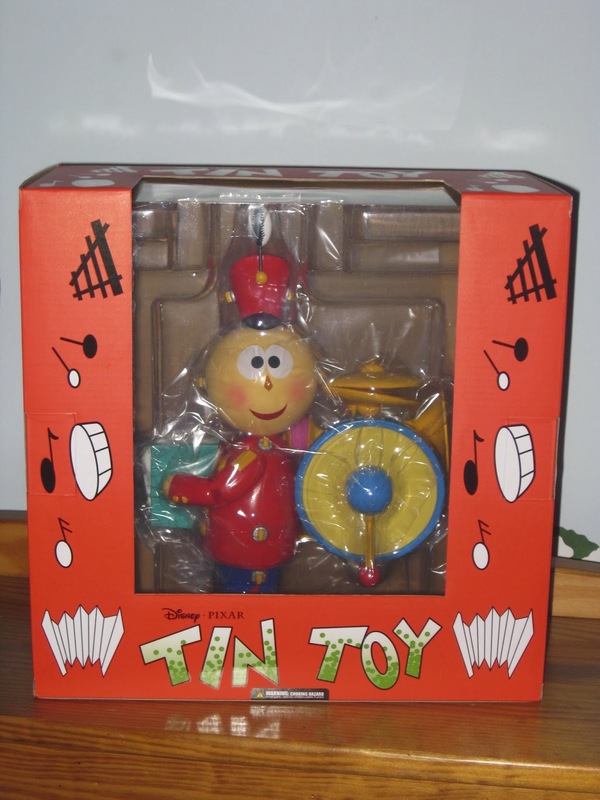 When I saw that an actual Tinny the Tin Toy replica was released, I was was ecstatic! 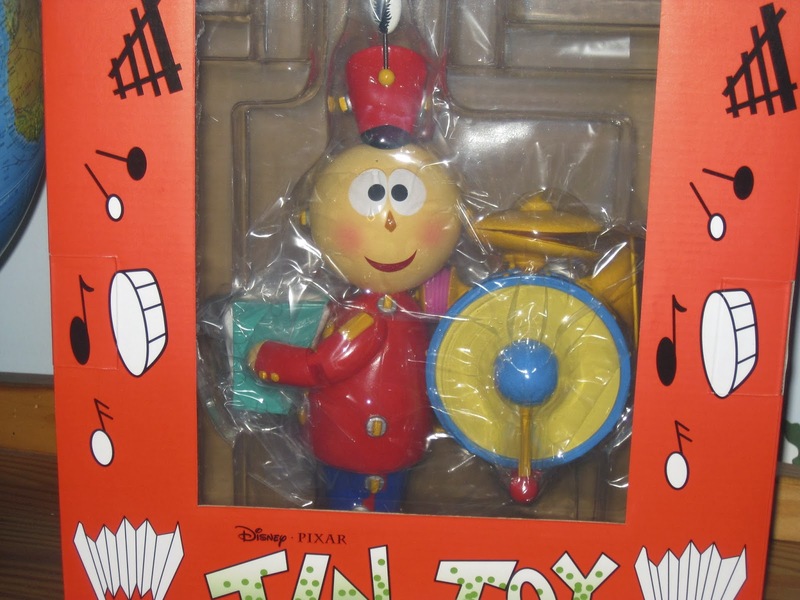 Tinny has such a fun, colorful and iconic design and I felt to get this would be a great tribute to film and the studio. For this past Christmas, I was SO lucky to have gotten this amazing item from my beyond amazing parents! 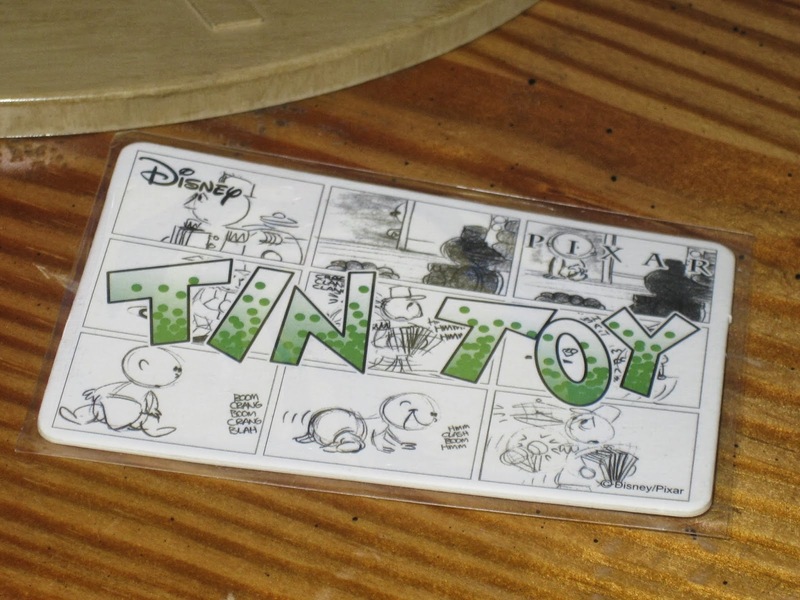 This is definitely now one of my most prized collectibles because of what it means for Pixar and how hard it was to track down (since it was released back in 2011 as a SDCC exclusive). 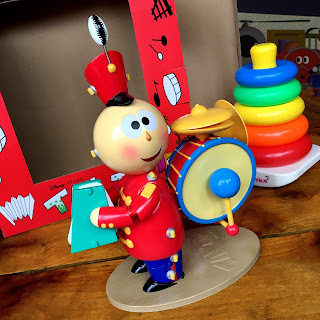 I've always loved tin toys and for every Christmas since I was very little, it has been a tradition to get one. 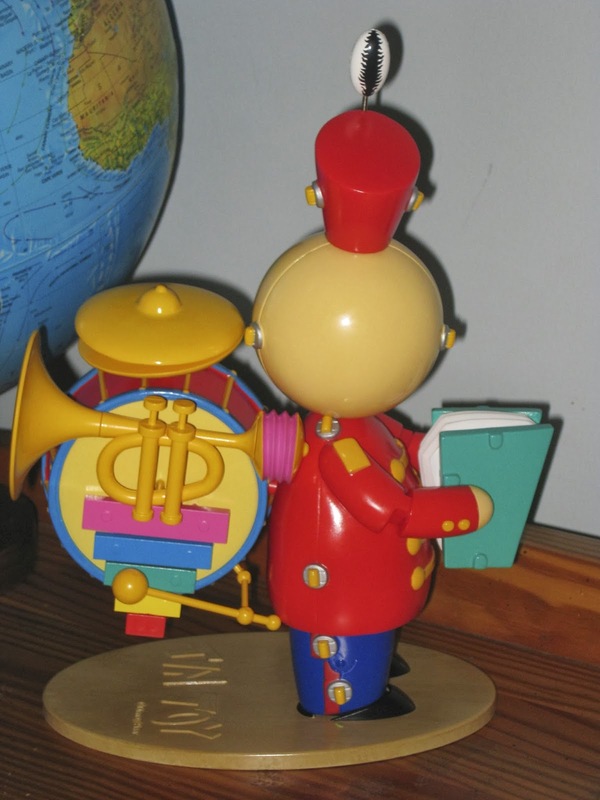 I have a pretty neat collection of all kinds of fascinating tin toys. 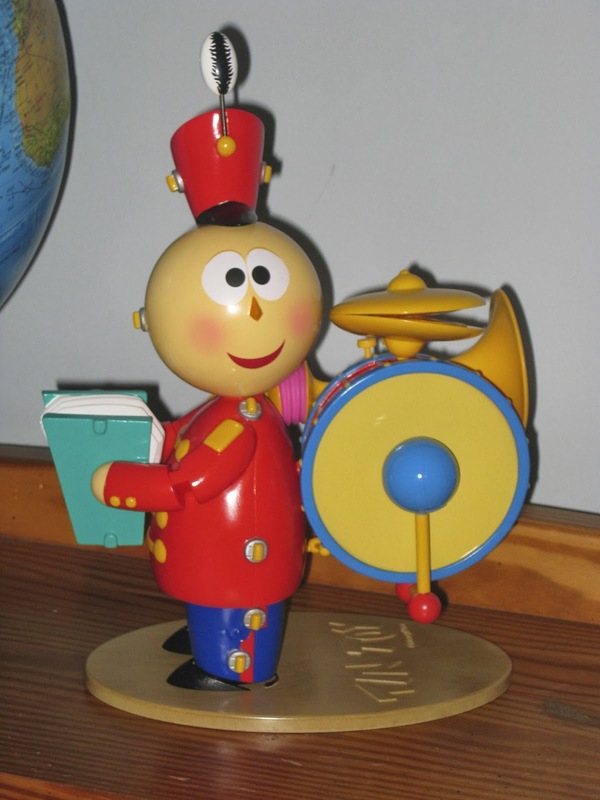 This continued the tradition, in a way (since it's called Tin Toy), but this item is neither made from tin OR a toy. 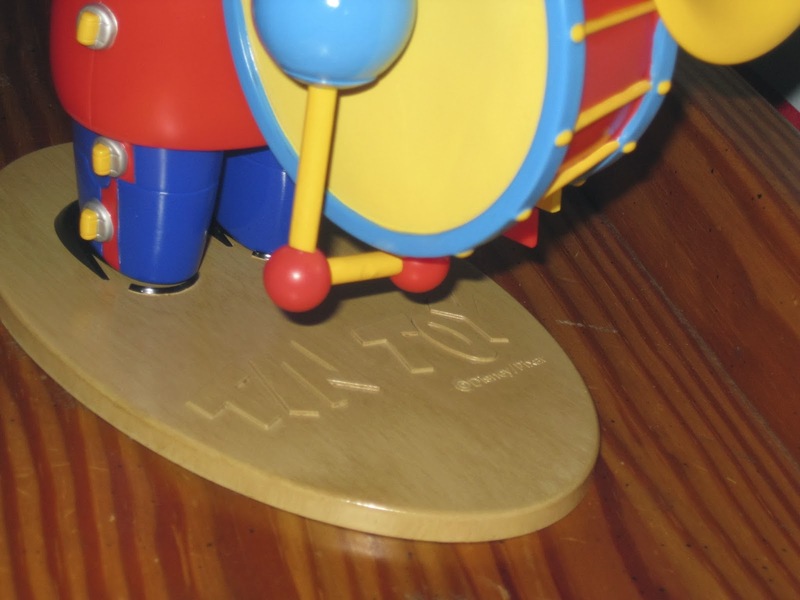 This item is made from a vinyl material and is a collector's piece. It can easily be broken if not handled right. As you can see from the screen shot from the film above, the packaging here is an exact replica from the one seen in the film! How cool, right? 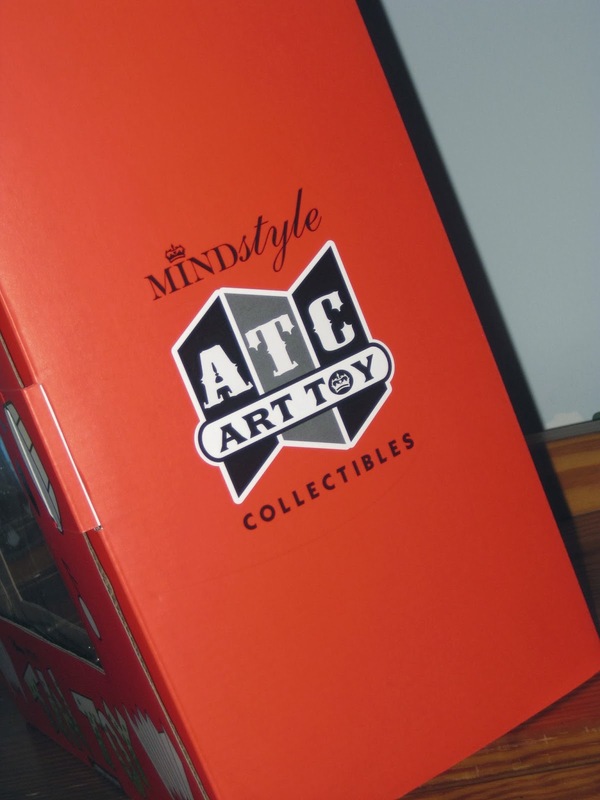 Minstyle Collectibles, the company behind this item, really outdid themselves. Such a quality piece! 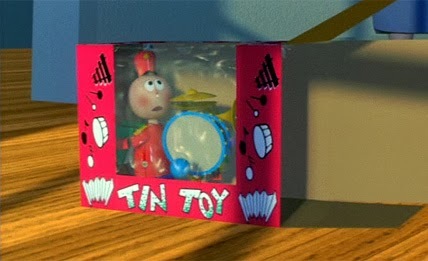 I can't wait to have this displayed on my desk or shelf someday when I create my Pixar themed study! 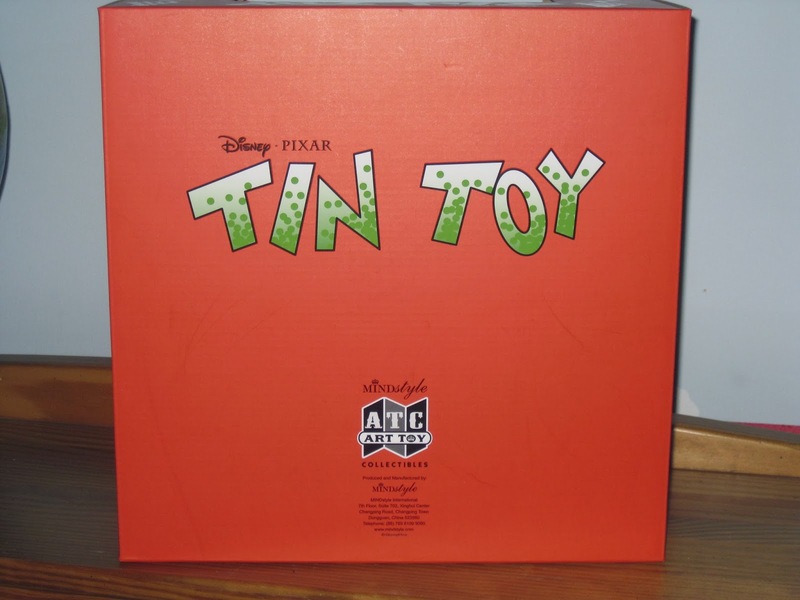 As seen above, it also comes with a Tin Toy collectors card with the logo and official storyboards for the background. Neat! Once again, a HUGE thanks to my parents for this awesome surprise! This pop on eBay once in a while so if you're interested, definitely try to track it down! They usually sell for $150-$200.